Get your holiday shopping done early! If you’ve been looking to cut the cord or upgrade your streaming setup there’s no better time than now. If that sounds like you, then here are these early Black Friday deals you’ve gotta check out! Get my favorite streaming device for new cord cutters, the Roku Streaming Stick for just $34.99. That’s the lowest I’ve ever seen this streaming player priced, at $15 off! Amazon reviews give it a 4.5 out of 5 stars! If you are looking to overhaul your TV and streaming device, go with this awesome all-in-one solution, the TCL 55″ 4K Ultra HD Roku Smart LED TV for just $399.99. This is another record low price for this TV, at a whopping $300 off! Amazon reviews give it 4 out of 5 stars! Get big streaming power in a pocket-sized, easy-to-use stick. The 2016 Roku Streaming Stick delivers fast performance with a quad-core processor and dual-band wireless. Device works with all top movie and TV streaming services, including Amazon Instant Video, VUDU, Google Play, Netflix, Hulu, HBO, and 3,000 more channels. Access 300,000+ movies and TV episodes plus music, sports, games, international content, and kids’ programming. Unbiased search across top channels shows you where content is free or cheapest to watch. And because Roku Streaming Stick is portable, you can stream to different HDTVs in your home, dorm, or hotel room. The Roku Streaming Stick delivers fast performance with a quad-core processor and dual-band wireless. Simple. 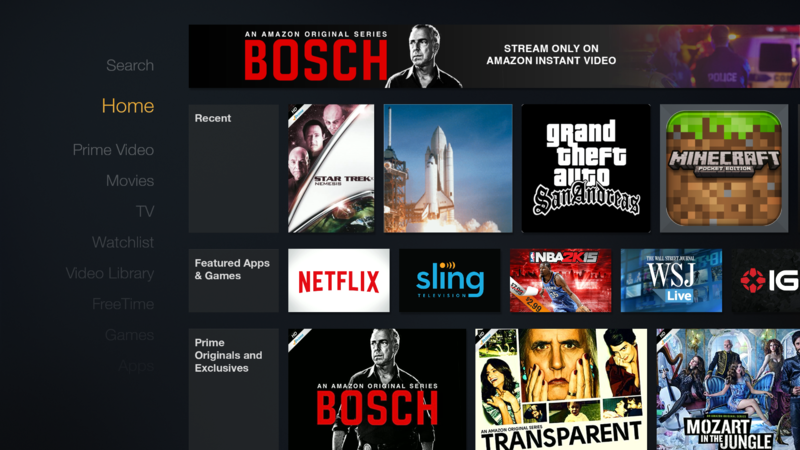 Access your own subscriptions like Amazon Instant Video, VUDU, Google Play, Netflix, or Hulu. Rent or buy on-demand, and enjoy hundreds of free channels. Save time and money with search results that show you where movies and TV shows are free or cheapest to watch. Totally portable, and streams to different HDTVs in your home, dorm, or hotel room. Private listening via mobile. Use your smartphone or tablet and the Roku mobile app for iOS and Android to enjoy private listening anytime via your Bluetooth or plug-in headphones. Mobile control transforms your iOS or Android mobile device into a Roku remote, search with voice or text, and send photos, video or music, to your TV from your phone or tablet. TCL, one of the world’s best-selling TV brands, and Roku, America’s most popular streaming service have come together to bring the latest in 4K technology and design. We’ve simplified the4k Ultra HD TV so you can instantly enjoy endless entertainment. Choose from more than 3,000 streaming channels that feature 350,000 movies and TV episodes plus live sports, news, music, kids and family, food, science and tech, fitness, foreign language and so much more. Rent New Movies at Home for Free! That’s right! …and it’s legal too 🙂 Did you know that you can earn free store credits from Google for answering short surveys of 1 – 5 questions usually about your recent shopping habits? You can! All you have to do is download the Google Opinion Rewards app on your phone, go about your normal routine, and when a survey pops up just answer the questions. Super simple and you rack up free bucks in no time. The best part is that you can turn around and use those credits to rent (or buy) movies, even newly released ones, from the Google Play Store. We prefer to watch Google Play movies through our Roku using the Google Play Movies & TV channel, but you can also watch from your phone, tablet or computer browser. Give it a try this weekend. Family movie night has never been so affordable! With all those different streaming media players out there today and hearing about new ones every couple weeks, how can you be sure which one is right for you and your household? That’s why I put together this list of the ones we use in my house, and why, to hopefully help clear up some of the differences and help you make the right choice for your family. Roku Premiere+ – This is the work horse Roku that is lightning fast and comes with voice search, wireless headphones, and 4K video support. It’s perfect for the family room or wherever you watch the most TV. Roku Streaming Stick – This offers all the apps and streaming features as the other Roku players, but comes in a tiny stick design. It doesn’t have the high specs of the Roku 3, but will stream content just fine. It’s perfect for a secondary TV, like in the bedroom (we have one in our’s! ), or if you have a wall mounted TV and don’t want another “box” like with the Roku 3. It’s also a really great value if you just want to test things out. Amazon Fire TV – This is the top dog in Amazon’s lineup that is blazing fast and comes with 4K support. It’s the one I have in our family room as our primary streaming player. Amazon Fire TV Stick – This is Amazon’s “more affordable” option. It offers the same apps and experience as the Fire TV, but comes in a smaller package with slightly less performance (and no 4K support). It’s great for a second TV in your house, like your basement TV for the kids (which is where we have ours), or it can be hidden behind that 50″ plasma screen above the fireplace. Chromecast – This is Google’s cost effective solution for getting your phone or tablet screen displayed on your TV. The only problem is this solution requires you to always have a second device available like a phone or tablet to stream to it. Also, it lacks a little in the app department. Apple TV – While Apple generally makes very quality products, I have to steer clear of the Apple TV. It’s is one of the most expensive streaming devices and it has a limited app selection. Nexus Player – Google really tried to bring Android TV back from the dead with this, but they failed to support the device in an ever evolving market and have discontinued support. Generic Android TV Boxes – These boxes are all over Amazon and Ebay. They look great on the surface, low price, boast thousands of apps and even “free TV”. However, most of these boxes perform poorly once in use and lack support from their developers. Also, the claims of “free TV” usually mean they have tweaked things so you can watch pirated content on the Internet.